Simple cooking, minimal ingredients and vibrant flavor. Fill a large pot with cold water and bring to a roaring boil over high heat, toss in a large pinch of coarse salt and add the spaghetti. Cook for 9 minutes stirring occasionally until al dente. Prior to draining pasta reserve at least two cups of the cooking liquid and set aside. Heat a large nonstick skillet over medium high heat. Add oil and butter, swirl to coat the skillet. Add the onion, mushrooms, garlic and a pinch of salt and pepper; sauté 20 minutes until mushrooms are browned and have released their liquid. Add wine and thyme and cook for a few minutes until liquid has evaporated. Remove pan from heat. Add hot cooked pasta another sprinkling of salt, half & half and Grana Padano to the skillet, tossing to combine. Add cooking pasta cooking liquid until desired moistness and continue to toss. Sprinkle with parsley and serve right away. Very good recipe indeed and lovely picture. This looks so delicious, and I’m happy that it’s hunting season, because I can pamper myself with such a lovely dish this weekend while Jon is out. I might even break out a bottle of wine, and a candle or two. Hunting season…what will he be bringing home? And yes, do bring out the wine and have a generous serving! Lovely and simple recipe, it sounds really good. Thank you. I had to run out to pick up some more mushrooms for round two. My family loved it! Must. Make. Soon. Looks delicious! :) Do make it soon! This is one of those sauces that is done before the pasta has cooked. It is so easy! I just picked up some very small button crimini mushrooms and I am looking forward to making it without slicing them first. Nice to hear from you! This is a recipe I would definitely like and I happen to have mushroom in the refrigerator. ooooooeeeeee–this is the kind of dish folks pay primo for at fancy Italian restaurants. And how simple to make at home :-) Lovely as always. Great Liz! Hope it turns out good! :) Let me know ok! Lovely stuff. I am planning something similar with risotto. Oh good! I’ll keep an eye out for your post. You are posting it…right? :) Sounds great. I do plan to post it. With some flank steak, if I get my way. Oh delicious and perfect for November. This is comfort food at its best! This looks delicious, and cooked perfectly. I dislike when creamy pasta sauces make the mushrooms lose their definition in terms of flavour and appearance! Exactly! You said it perfectly. Thank you! this looks like it really features the mushrooms more than anything else, which is a great thing. i’ve had a lot of pasta ai funghi that just use mushrooms as a sort of filler. as always, well done. Hah, so good you had to make it twice. Doesn’t surprise me. I totally agree, with the right ingredients who needs double/heavy cream with pasta. And loving mushrooms, atm. I know I would absolutely love this – completely up my alley. Love your photographs and your taste in food. Always so enticing. I love that you used half and half instead of heavy cream. What a great combination of flavors so simple but I know they are very flavorful. I love pasta in a creamy sauce. ooo, yum! I love mushrooms and seldom eat them anymore because the other half is not a fan. I think I should be making this for myself whilst I’m babysitting a house and cooking for one. Great recipe. it looks yum!! I have to ask though, what is ‘half and half’?? :) Half and half is sold in cartons over here and it is half cream and half whole milk. Much lighter to use in recipes and for your coffee too! It is not available at your markets? How curious…well, over here there are countless ways to buy your milk. (skim, 1%, 2%, whole, half & half, cream & heavy cream) Nice to hear from you! Thank you Shanna! We certainly enjoyed it. Enough to make it again a few days later! Try it! It’s so simple and yes, decadent too. :-) You have excellent taste in food and live/eat so well. It’s funny – the photo of the recipe has remained in my mind since I read your post. Speaks for your dish and your photography. Enjoy your weekend! I love pasta cooked like this. Yours certainly looks delicious. Saving a bit of the pasta water is a great tip to learn. I’ve saved many a dish using a bit of it. It is so true and I didn’t even learn this for years. Finally after eating many “dry” sauces I came across the idea and it certainly is a great tip indeed! What a lovely recipe! It sounds delicious! You have the best pasta recipes– this looks perfect on a cool evening at the end of a busy day. thanks. I make mine the same way but use soy cream instaed of half & half! Yum Yum Yummmmm! 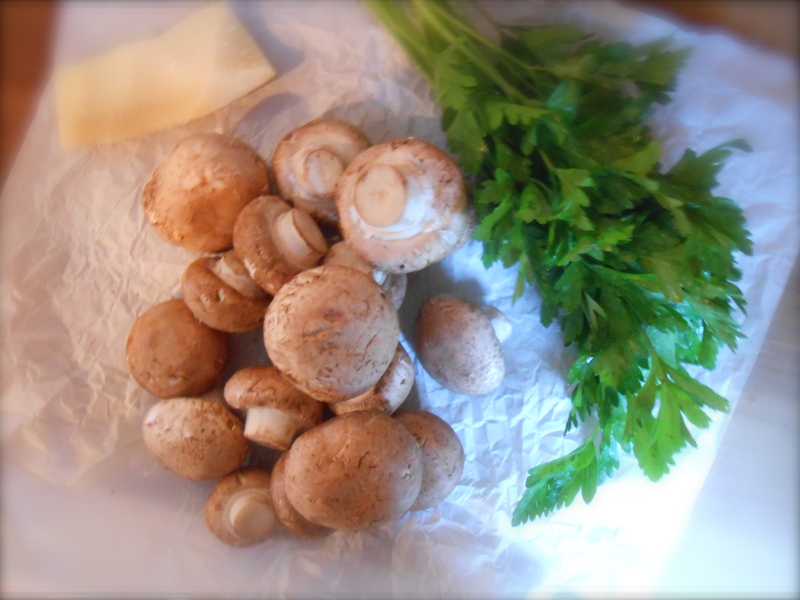 :) I also like to use a mix of wild mushrooms like porcini, canterelles, etc! well, actually i like it very creamy, but since i concern about my weight i guess i must cut off some of my cream intake! Oh, that looks lovely! There are never enough ways to serve mushrooms, and sometimes a simple recipe is proof that less is, indeed, more. I will definitely try this soon, especially if i can convince my husband to dig out the pasta maker for the fettuccine! Fresh pasta…even better. Awww, I need a pasta maker. And thank you for visiting. I enjoyed looking around your site today! 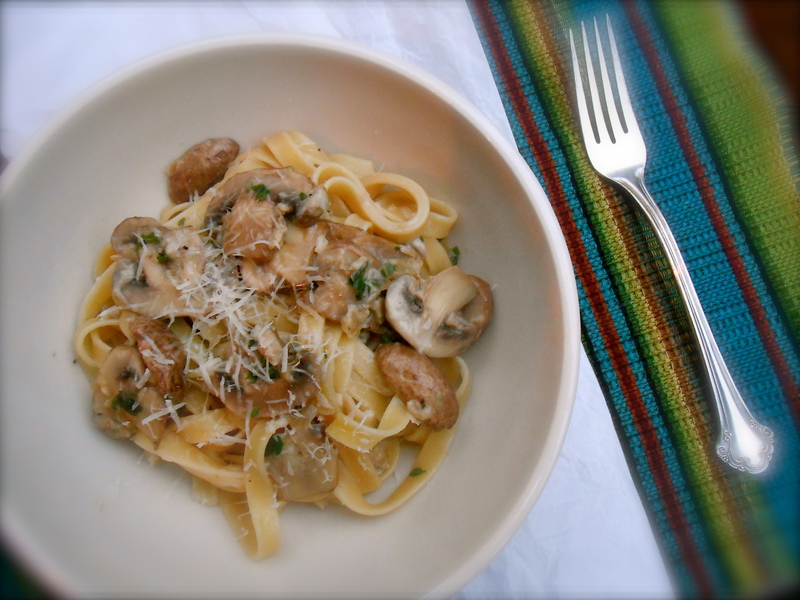 You are currently reading fettuccine ai funghi at COTTAGE GROVE HOUSE.